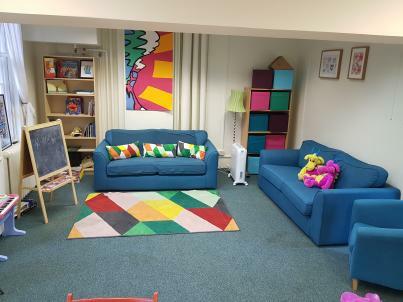 The young parent support service based at St Michael’s head office offers a holistic service to young parents and their children. We also work with expectant young parents, all up to age 24. Tailored support for looking at parents’ personal needs and their children’s developmental needs. Training to other professionals about working effectively with young parents. One to one works on a key worker model. This is when a young person works with just one professional or team. We know how the parents we work with loathe having to tell their story over and over to different people. Offering a ‘one stop shop’ facilitates proactive contact and a supportive, open relationship. It’s a far more efficient way of working and it makes it easier to see the whole picture. If it’s safe, we conduct a lot of individual support in the mum’s and dad’s own home. This means we see the family in their own environment and get a fuller assessment. If it’s not safe to meet the mum or dad at their home, we meet outside, at their place of study, or in a children’s centre. The key worker coordinates all this support and makes sure things aren’t missed or repeated. We’re working with more Child Protection and Children in Need cases. Each member of staff has Child Protection parents on their case-load which involves attending case conferences, core group meetings, Children in Need meetings and Team Around the Child meetings. checking they understand their baby’s physical and emotional needs. If they have complex issues, as many of our young parents do, they’ll need additional support. This could be around leaving a violent relationship, learning needs, mental health or substance misuse. We’ve been working with young parents in Lambeth since 2000. We know the specific issues of the borough, including high levels of violence against women and girls, gang membership and knife crime. We are sensitive to the individual needs of young parents, recognising the diversity within Lambeth. It emerges that three quarters of the young women we work with have been or are in an abusive relationship. The mums don’t always recognise that they are in an abusive relationship. What they disclose to us may be recognised by staff as evidence of being in an abusive relationship. We’ve developed special services around young domestic abuse, including the DiVa group and the Caring Dads with young fathers programme. Attending the DiVa group may be part of a Child Protection Plan. A holistic family-centred approach drawing strength from local partners is a highly effective and efficient way of working, as our young parents tell us. St Michael’s also uses the keyworker model in our residential and community work. We’ll be writing more about this shortly.